This course will introduce you to different 4 Wheel Drive (4WD) systems and teach you techniques for handling your 4WD vehicle on various terrains and traversing obstacles safely. Glen Edmunds, our Director of Training, has 40 years of racing experience. He is also a qualified automotive engineer. These unique talents combined with his international training credentials at the premier driver/security training schools in both the United States of America and Jordan mean that you benefit from every aspect of Glen's vast wealth of experience. 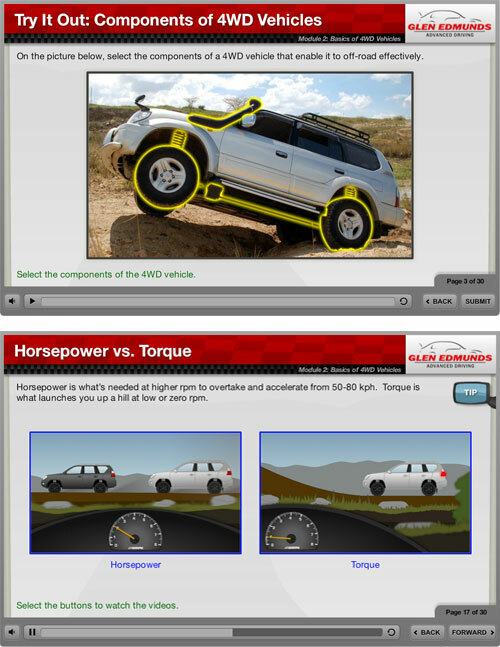 Course compatible on desktops, laptops and tablets.